Lock in a great price for Coté Cour de L'Hôtel Particulier – rated 8.7 by recent guests! The location was excellent. An easy walk to restaurants, shopping, the river, and trams. I loved the location, it was very central. 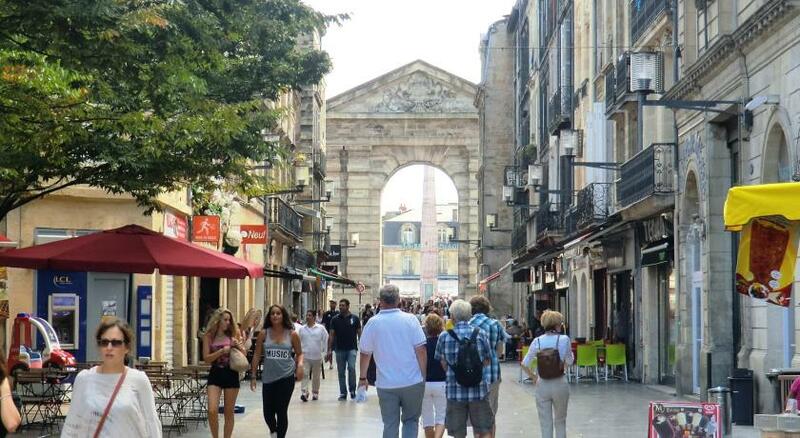 Shops, public transportation, historical sites within walking distance and a lot of restaurants nearby as well. Fantastic location and comfortable hotel. The staff were great. Elegant building, perfect location (downtown but beyond the maddening crowd), near public car park and city tram stop, cozy rooms, and last but not least, extremely helpful and nice staff. The staff are great,very helpful and friendly. They arranged airport transfer and made restaurant reservation for us. The location of the hotel is perfect, short walk to main attractions,shopping and restaurants. Two minute walk to tram station and close to a supermarket. Rooms are clean and kitchenette is well equipped. The location is very good. A few walking minutes from great restaurants and shops. The Garone river is close as well. The location is perfect, and the staff are super helpful. I arrived after midnight and got detailed instructions on how to get to the hotel, and then to get to my room. Welcoming staff, excellent location - Monoprix department store just around the corner with groceries department at ground floor, many restaurants and cafes around, 10 minutes walk (easy) by long shopping street down to main plaza Bourge and Grand Theatre. Spacious one bedroom apartment (one room had a very comfortable queen bed and other room had a sofa-bed) with kitchenette - sink, fridge, cafe/the maker and dishes. Strong Wi-Fi. Nice cozy courtyard with chairs and table, wine tasting shop is there. 15 euros per day for parking lot with hotel discount (otherwise 30 euros per day it is city's parking and not belongs to hotel only). Very liked the security system of hotel - special electronic device for all entrees doors provided to you upon check-in. 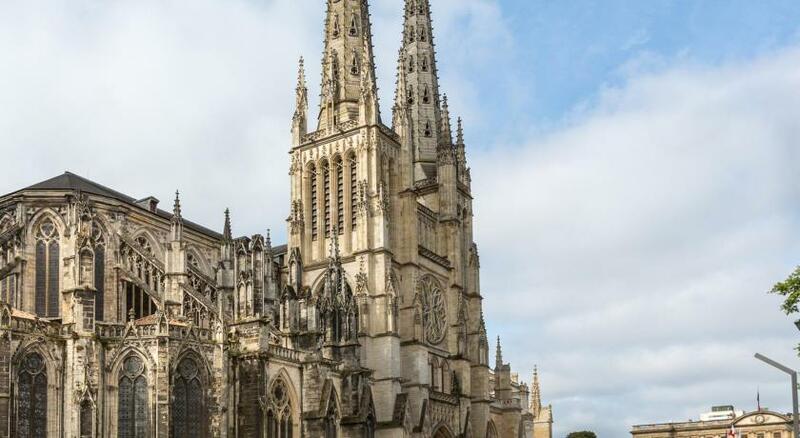 The 19th-century guest house of L'Hôtel Particulier is located in Bordeaux, 350 feet from Saint André Cathedral. Most of the apartments have views of the courtyard. The stylish apartments include an LCD TV as well as an equipped kitchen with a coffee machine and a kettle. A French breakfast is served in the morning at L'Hôtel Particulier notably consisting of eggs and bacon. Gambetta Tram Stop is 500 feet from the guest house, providing access to Saint-Jean Train Station, 1.9 mi away. Public parking is available in Pey-Berland Square, 350 feet away. 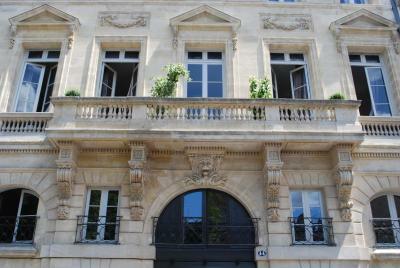 뀐 Located in the real heart of Bordeaux, this property has an excellent location score of 9.7! 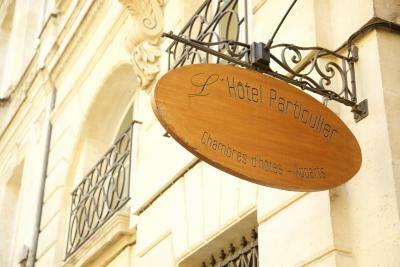 When would you like to stay at Coté Cour de L'Hôtel Particulier? This apartment has a fully equipped kitchenette. It offers interior courtyard, landmark or street views. You will get a free bottle of wine for your stay. This studio has a fully equipped kitchenette and a flat-screen TV with satellite channels. This studio has a fully-equipped kitchenette and view over the courtyard. This studio has a fully equipped kitchenette and a view of the courtyard. House Rules Coté Cour de L'Hôtel Particulier takes special requests – add in the next step! 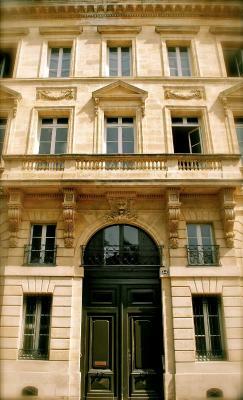 Coté Cour de L&#39;Hôtel Particulier accepts these cards and reserves the right to temporarily hold an amount prior to arrival. Coté Cour de L'Hôtel Particulier accepts these cards and reserves the right to temporarily hold an amount prior to arrival. Guests who plan to arrive after 9 pm are requested to inform the guesthouse in advance. Contact details can be found in the booking confirmation. If you arrive by car, please contact the property either by phone or email. Contact details can be found in the booking confirmation. Gray towels. No light in the room. Old, not renovated bathroom, with limescale, doors,. Etc.. Not isolated at all. 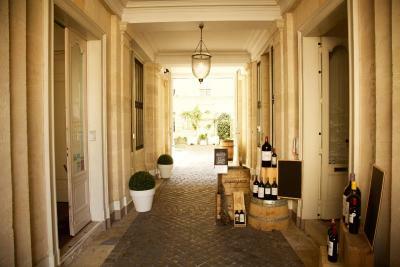 Noise from nearby WC, steps, doors, etc..
Great hotel with real Bordeaux atmosphere. Close to all the sights in the heart of the town. Very quiet at night. Liked everything about the place. It was exactly as described. Wonderful location. From arrival the staff were excellent. Friendly, professional and informative. 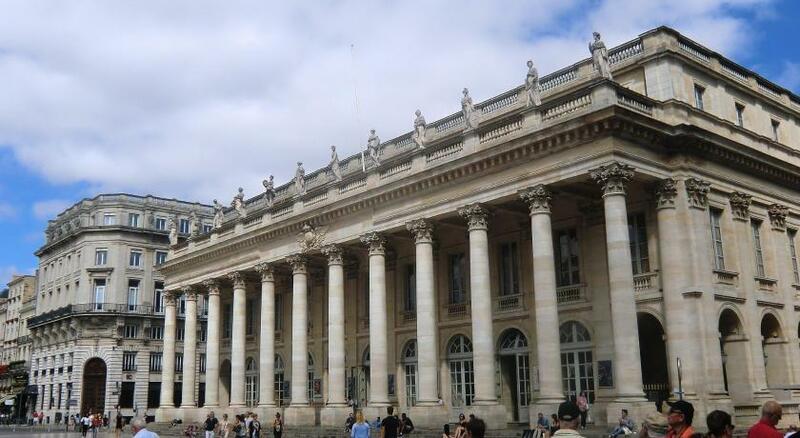 Beautiful building with a lovely courtyard. Breakfast was great. Enough given but the offer of more was always available. Wonderful staff, fantastic location and lovely room. The bathroom was particularly narrow and the layout of the bed was not very ergonomic. Plus the lack of an elevator to the third floor for the rooms at the back made the stay not as comfortable as it should be. Helpful staff with good recommendations for restaurants and things to do. Breakfast was lovely and one had access to a Nespresso machine throughout the day. The apartment needed serious upgrading. Blinds were broken. Mattresses were uncomfortable. Towels were old and faded. Chairs were not comfortable. The breakfast was very good, the attention was very nice and the location was nice as well. Fabulous hotel, great location, friendly staff, excellent breakfast. It was not made clear that there is a huge difference between the rooms. Some are large, airy and attractive. Some are small and dark. Room on the first night was very basic. We asked to be moved and the staff were very helpful, showing us 3 or 4 alternatives. The one we moved to had a small kitchen area and a sofa.